OTTAWA — Warning against the "dangers of populism," Prime Minister Justin Trudeau says using immigration as a wedge political issue puts Canada's future at risk. The Liberal leader's line suggests a theme for next year's election campaign. 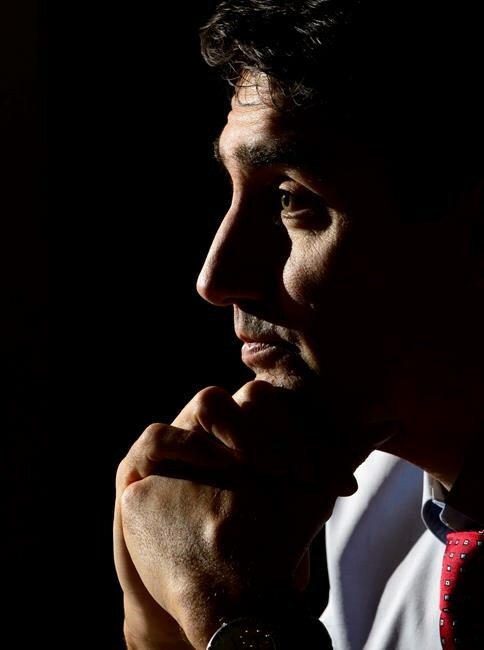 "The decision that the Conservatives have taken recently to, for example, go after the global compact on migration in a way that is deliberately and knowingly spreading falsehoods for short-term political gain and to drum up anxiety around immigration is irresponsible, is not the way we should be moving forward in a thoughtful way on one of the big issues that is facing our country," Trudeau said. "But the fearmongering, and the misinformation that is being deliberately and knowingly put out by the Conservative party right now, is very dangerous to something that has been an extraordinary advantage and benefit for Canada for generations," he said. Conservative Leader Andrew Scheer's press secretary Brock Harrison said Trudeau's comments demonstrate that he is failing to take responsibility for Canadians' concerns about the border. "He resorts to personal attacks and phoney arguments whenever he's criticized for it," Harrison said. "Conservatives will continue to hold him to account over the lengthy delays in processing and billions in added costs caused by his failure to secure the border." The Conservatives have also been hammering the Liberals over the influx of asylum seekers crossing into Canada "irregularly," away from official entry points, over the last two years. The issue has led to clashes with Ontario Premier Doug Ford and Quebec Premier Francois Legault, who each want Ottawa to fork over $200 million or more to cover costs the two provinces have borne to house and provide services to asylum seekers. Trudeau said he plans to address the Canadian public's growing fears by emphasizing that Canada has a robust immigration system that ensures incoming refugee claimants pose no security risk and meets international obligations that Canada has agreed to uphold. "This process is working to keep us safe," he said. "There is a careful approach (by the Conservatives) to try and scare people, and as we've said, it's always easier to try and scare people then to allay fears in a time of anxiety." Anti-immigrant rhetoric is helping some political parties, Trudeau acknowledged, pointing specifically to Eastern Europe and the United States. These views have gained traction online in Canada, he added, noting this as an area "that I think requires us to be more vigilant."